Yes, the latest article is dated November 2018, aren't there meant to be bi-monthly updates? Er... now that I've typed it out I guess the next article is expected at the end of this month. Woo! Hope they/you all had fun! If they had any cool ideas for the emulator, or separate blogs of their own about the event they'd like to share, it might be interesting to link them in the next article. Hey, I'm brand new to emulating but I was wondering how to play games online because I saw the new update post saying that you could play online via wiimifi, can anyone help me out and show me how to play online (I have a wii so if I need to dump files I can). Thanks! 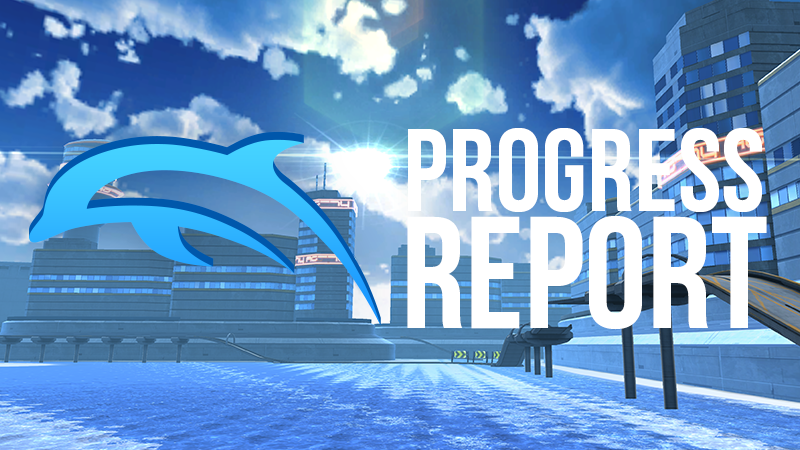 The December and January Dolphin Progress Report is live! Feel free to discuss this month's update below. Cool stuff, thanks for the report. Thanks for this latest progress report. Great work, as usual. Glad to see it back—and happy to see a spotlight put on Billiard26’s incredible work fixing up various controller compatibility issues. It didn’t make the article, but his efforts to return proper DInput rumble to Dolphin, wiping out bug reports one after another, were a tour de force. (02-02-2019, 06:41 AM)Misaka Mikoto Wrote: efforts to return proper DInput rumble to Dolphin . . . were a tour de force. Uhh . . . that wasn’t on purpose. A daily routine was checking some news. I hit a shortcut to Dolphin and then press return. Not world or culture, but nerd info is what I choose. However the site caused me some concern. Where was the report, did anyone remember? I'd visit repeatedly, and almost vocalize my plea. It had been so long, since last November. "Is there a progress report for us to see?" Each day I'd pine for the progress release. However long I waited, no article was posted. With each passing week, the sadness would increase. "Are they still there? Have we all been ghosted?" A month and some change has already passed. I held onto hope, since it was holiday break. But with this ongoing sadness, I wasn't sure I'd last. "Maybe it's hidden, some web dev mistake?" I found the progress forum link, quite easy to access. After all it's right underneath the title. I just had to be sure not to click any tag sets. And the right link would lead me to info most vital. Skimming the thread found another concerned poster. I was not the only one to question the ommission. Contributors weren't gone, in fact they were closer. MayImilae was there, to let us know of their mission! They were at 35c3, a convention of sorts. So a delay would be had in the progress reports. All I had to do was wait, it would arrive in surety. Eventually it happened, on one happy Friday. I visited the Dolphin website as always. And the banner in news was a different display. The news post was there, after so many days! Finally I could read the progress report! The info was laid out, as nice as I expected. I took it all in, thankfully it wasn't short. It was enjoyable to read, we hadn't been neglected! However now that I'm done reading, I worry once more. I hope this doesn't cause a lack of support. ... when's the next progress report?